After Peer Gynt‘s huge success, opening Irina Brook’s first season in Nice, the show is back for one night only before going on tour. The director transports Ibsen's tale into the 21st century, interconnecting cultures, myths and genres. Sam Shepard overhauled Ibsen's poetry using modern, musical language, while Iggy Pop's two original songs provide the perfect finishing touch in transforming this anti-hero into a quirky rock'n'roller. An international, multi-talented cast recreates the different worlds that Peer must travel through, from his childhood village to down-town New York via the sensual Kingdom of Trolls. 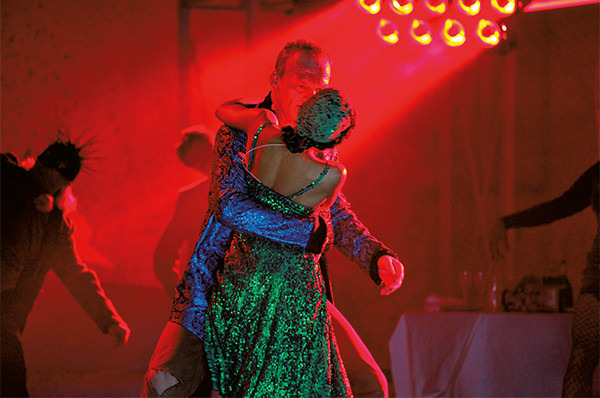 Icelandic stage and film star Ingvar Sigurdsson is an electrifying Peer Gynt alongside breath-taking Indian dancer Shantala Shivalingappa in the role of Solveig, his loyal lover. Leading Lebanese actress Mireille Maalouf plays the role of a simultaneously tragic and hilarious mother figure. This crazy adventure takes us deep within ourselves, bringing us face-to-face with the simple question: "Who am I?"